Wash carefully the tomatoes.Chop them into pieces. Peel the white onion and dice into pieces. Wash the green pepper,clean out the from the seeds and cut into pieces. Soak the bread slice in some water for a while.After that,squeeze the bread slice and set aside. 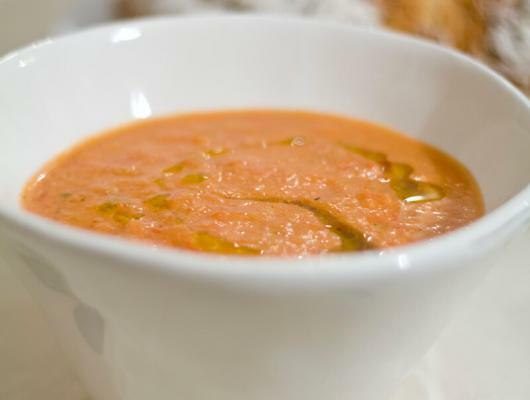 In a high speed blender or food processor,put the chopped tomatoes,garlic clove,diced onion,chopped pepper,peeled cucumber and soaked bread slice. Add the seasonings and extra virgin olive oil. Blend until you have nice,smooth and creamy texture. Pour the ready soup into large bowl and refrigerate for a while. The colder it is,the better. Serve with a drizzle of more extra virgin olive oil on the top and enjoy the Spanish taste. 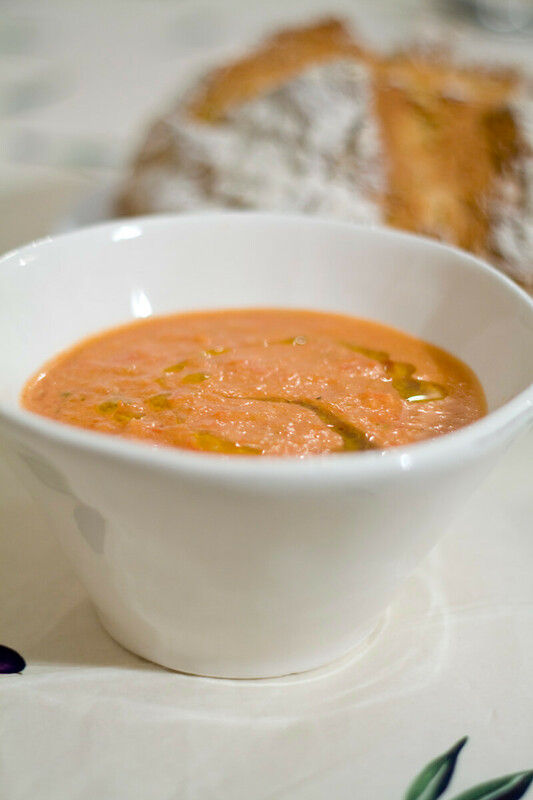 Today I will introduce you to the instructions for preparing and making the Spanish summer soup-Gazpacho.Refreshing,tasty and really easy to make.Everyone like it,especially the small kids.This recipe contains only summer ingredients like cucumbers,tomatoes,garlic,onion,peppers and many other healthy and tasty ingredients.